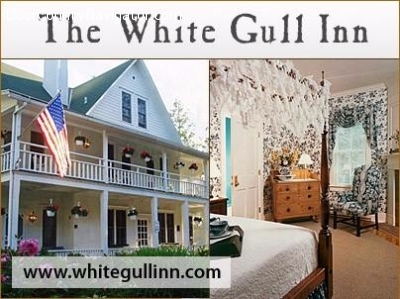 Since 1896, the White Gull Inn has been providing accommodations with character and memorable food for generations of Door County visitors. The antique-decorated rooms, suites and cottages have been beautifully renovated, meticulously maintained, and many have fireplaces and double whirlpools. Breakfast, lunches, candlelight dinners and traditional Door County fish boils are also served to the general public. Open all year. Call now or visit our Package Page for information on our Romance packages, Spa and other packages designed to fit your interests and budget.